I picked up this private selection Four Roses Single Barrel OBSK at McScrooge’s in Knoxville, TN. It was aged 9 years, 3 months in Barrel QS 88-3D and bottled at 59.2% ABV on March 13, 2014. If you don’t know the different recipes of Four Roses, then this is their high rye mash bill (60% corn, 35% rye and 5% malted barley) fermented using their K strain of yeast (full-bodied flavor with light spiciness). For comparison, their regular Single Barrel uses their OBSV recipe, which employs the same mash bill with the V yeast strain (creamy with delicate fruitiness). I’ve been collecting private barrel selections from different stores in order to gain a wider varied sampling of the Four Roses recipes and, at this point, I’m only missing the OBSO and OESO. The remaining 8 recipes have been collected from 4 different stores and I’ll eventually plan to review them all, although too late for you (or I) to secure any more. 😉 In any case, here is what I learned of this OBSK. Rich caramel with light barrel char are the first to greet your nose, followed by sweet tobacco, straw, cocoa and dark cherries. Water brings out some spiciness, otherwise everything remains the same. The taste is consistent with the aroma, with rich caramel, light tobacco, marzipan, straw and just a hint of cherries and a light dusting of cocoa. 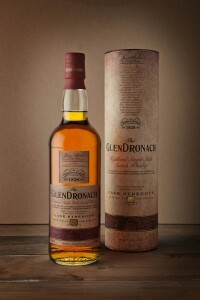 After a few sips, the cherries become a bit more prominent as the finish becomes long and spicy with lingering bitter caramel, tobacco and the light fruitiness. Additional spices – ginger, pepper – join in around mid-palate before that long finish arrives. With water, the spices remain moderately bold, while tobacco is somewhat subdued in favor of the fruit and some candy, specifically lemon drops and red hots appear. 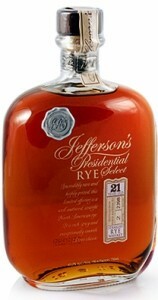 The mouthfeel improves a bit too as the whiskey becomes nice and chewy without the alcohol drying out the palate. In the end, you’re left with lingering marzipan, cinnamon and dark cherries with a nice, leathery feel that just goes on for a long time. 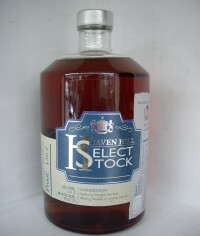 This is a an excellent whiskey for sure, combining the spiciness of rye with the lightly spicy strain of yeast to create a lively dance of spices across a montage of barrel flavors while the barrel proof ensures that the flavors remain full and the oily texture endures. 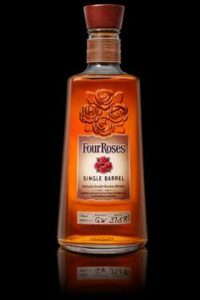 I picked up this bottle two years ago for about $60, but I suspect that similar offerings should still be available for a similar price, although Four Roses private selections aren’t as prominent as they were back then. If you can find some, then I highly recommend exploring at least the OBSV, OBSQ and OBSK. I can’t wait to try the other eight recipes! Posted in Whiskey. Tagged Bourbon, Four Roses, Single Barrel. Posted in Whiskey. Tagged Bourbon, Brown-Forman. I picked up this bottle on a trip to Breckinridge, Colorado a couple of years ago and have been working on it slowly and sharing it with others who have never heard of it. Today, I decided to jot down some notes and actively work to empty the bottle in order to make room for more stuff. Cedar Ridge claims that this is the first bourbon to be produced in Iowa and it’s even distilled there, not sourced like Breckinridge Bourbon (and so many others). It’s a single barrel offering and this is bottle 267 from barrel 189 (can’t find a bottling date or age). The nose is minty with hints of vanilla, caramel, barrel char and sweet corn. At only 40% ABV, there’s still a good bit of alcohol burn and you’ll have to work to get past that to smell the fresh-cut cedar, but it’s worth it. It’s different, but I like it. The whiskey hits the palate with vanilla, sweet corn, wintergreen and develops a spicy bite before finishing with a mildly woody alcohol burn at the back of the throat. There are further notes of cardboard, powdered lemon drop, bitter honey, white pepper, black pepper and a hint of persimmon. The finish mostly lingers in the back of the throat with mild tannins, remnants of mint and a good burn. It’s not a bad drink, but it’s lacking any kind of balance and comes across more like a minty rye whiskey than a bourbon after you get past the brief entrance. For me it was worth the admission just to try an Iowa bourbon, but I’m done with it. It doesn’t really stand on its own merit even at $38. Get a bottle of Four Roses Single Barrel instead and you’ll discover how something like this should really be executed. Posted in Whiskey. Tagged Bourbon, Cedar Ridge, Single Barrel. I was connected up with Tom Lix at Cleveland Whiskey by my good friend, Cap’n Jimbo, who provided a sample of his Black Reserve Bourbon, which is produced using his patented Pressure Aging® process. This process simulates each day of the distillate’s interaction with the wood by varying the pressure so that the it is forced into and then out of the wood. In this way, the claim is that aging is simulated in a fraction of the time and that the equivalent of a much older whiskey is produced in a fraction of the time. this is an important review and not just a tasting of another whiskey… there’s more at stake here because of the claims. To this end, I avoided reading any reviews and received very little information from Tom or any other source. I also spent a good couple of weeks and several hours getting experience with Black Reserve. I allowed time for the whiskey to “breathe” over a couple of weeks while drinking samples and looking for changes. Of course, I also experimented with water to determine how the whiskey reacted. In short, I treated this whisky with much more care than normal. My initial reaction was that this whiskey smells and tastes like bourbon… that’s a good start. There’s the typical caramel and vanilla with fruits and spices as you would expect. At 100º, there was an expected burn on the nose along with notes of cherry, wet grass and apple. The taste was vanilla, lemon, tart cherry, underripe pear, green apple, white pepper and raw ginger. The finish arrived with a tannic, dry, bitter taste of onion powder and pepper without much mouth feel as it arrived. 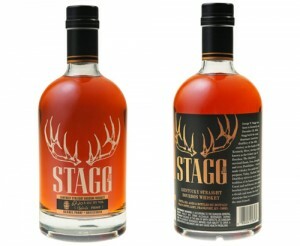 While the basic bourbon flavors were there, the young, greener notes were apparent. Despite the aging claims, this whiskey tasted young… very young. Adding water just washed out all of the flavors and ruined the experience, so I would not recommend any dilution. I continued to sample Black Reserve for a couple of weeks and noticed the addition of sap and mild turpentine on the palate (no changes detected by the nose). The finish was still very tannic with a lingering burn against a backdrop of sap, mild stinkbug (no kidding) and a hint of soap. While the flavors did develop a bit (not for the better), the whiskey still had a very light mouthfeel and young, green flavors. Obviously, the aging claims are bogus from my perspective as this whiskey doesn’t taste like aged bourbon at all; however, the patented process and what it’s able to produce really intrigues me. Also, I have to say that Tom Lix has been a nice guy to deal with… providing a free bottle for review and interacting throughout the process without anything but gracious responses and an interest in providing my feedback to the production team. In no way was he overly sensitive to my reaction to his whisky… he just took it in stride and I really appreciated that. His process has produced some good results as well as some unfortunate side affects (based on my tasting experience) that I’m sure he’ll continue to work feverishly to improve. Do I think that his objective of fast aging will ever be met? Of course not! No matter what this process accomplishes, it cannot turn forward time and produce age… that’s just not possible. I do think that it has some promise and might produce some interesting whiskey, but it won’t be aged whiskey. I encourage Tom to continue to develop his process to see what it can produce… you never know what he might discover. The point of interest with this whiskey is rooted in the technology as compared to the artisan craftsmanship employed in the making of the most revered whiskeys. I have a great respect for those pioneers who have developed the methods that today’s artisans employ, for the skills that the artisans of today have developed and for the continuous, innovative tweaks to the craft that many of these same artisans discover. Technology does play a complementary role in the development of fine whiskey even today and these artisans benefit from technology that didn’t exist years ago. In my opinion, these artisans should not be the target of the Pressure Aging® process because it just can’t compete with the real thing. 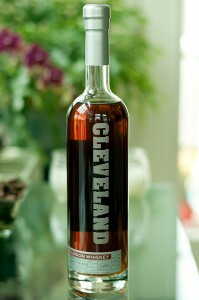 Cleveland Whiskey should be creating new types of whiskey and competing with other mass produced spirits. The objective of the process is obviously to produce something faster and that relates directly to cost. If they can produce a whiskey very cheaply, then they could undercut the price on every whiskey out there and create a new standard for low cost. While I’m not interested in that stuff, I’m sure that lots of people would be… not the least of which would be the corporate marketeers. Today, Cleveland Whiskey compares their Black Reserve with Knob Creek 9 Year Old Small Batch (another 100º bourbon). 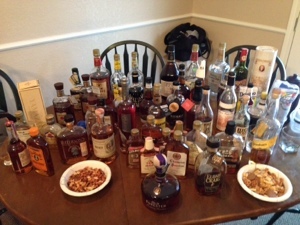 They conduct their own taste tests and claim that 1,644 out of 3,010 participants have chosen their Black Reserve over Knob Creek so far. That’s almost 55%! Personally, it’s hard for me to imagine a single participant choosing Black Reserve and I’ve tasted both, but tastes do vary and I want to respect both the participants choices and Tom’s tasting events. Knob Creek is just one bourbon though and it’s not a great one anyway (their Single Barrel is!). At a cost of $30, Black Reserve would have to compare to Evan Williams Vintage Single Barrel, Eagle Rare 10 Year, Old Grand Dad (less than $10), Old Grand Dad 114 (less than $20), Evan Williams Bottled-in-Bond (less than $15), Old Forester Signature, Henry McKenna Bottled-in-Bond Single Barrel, Elijah Craig 12 Year, etc…. and there are some great whiskies in that list. It’s just not a battle that can be won, in my opinion, and that goes directly to the claims of producing an aged whiskey without actual aging. Unless you want to experience the product of this unique process, I would skip this whiskey altogether. The only interesting aspect is the process and not the flavor. Posted in Whiskey. Tagged Bourbon, Cleveland Whiskey.